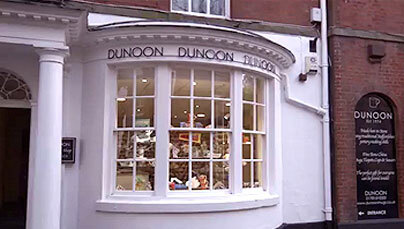 Visit our Factory Shop in the picturesque canal town of Stone, easily accessible from the M6. 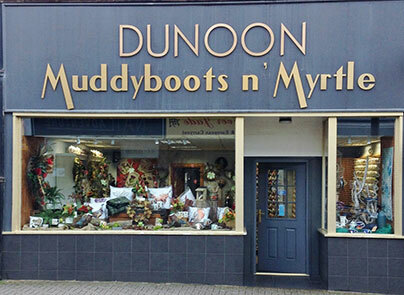 Visit Muddyboots n' Myrtle, conveniently located in Dunoon town centre which stocks a comprehensive range of Dunoon Mugs. Visit our brand new shop in the famous Trentham Shopping Village, easily accessible from the M6 and A50. The Trentham Shopping Village is open all year round, 10:00 am to 5:30 pm Monday to Sunday, with the exception of Christmas Eve, Boxing Day, New Years Eve, New Years Day when shops are open 10:00 am unti 4:00 pm.